but then the anime came over and Viz killed it, first of all they had the crappy dub with the uber uber uber crappy voices and everything else was good but the voices can ruin an anime, and they definitely did this time, I mean Eiji’s supposed to sound hyper and Fuji’s supposed to sound like a girl and everything else, so they totally killed the voices, and then they put it on Toonami Jetstream at first and that wasn’t that good of an idea because I really don’t think it’s that popular, but then they put it on TV which was a good move but then they killed it by SKIPPING LIKE HALF THE EPISODES FOR NO REAL REASON, and I’m sure that confused dub-only watchers who probably had no idea what was going on, and I can understand why they’d want to get farther along in the series faster because the series starts out kinda ehhh and gets waay better later on, but skipping episodes is not the way to go, and so then they finally restarted it from the very beginning but then they took it off the air for good before they got to the good episodes! 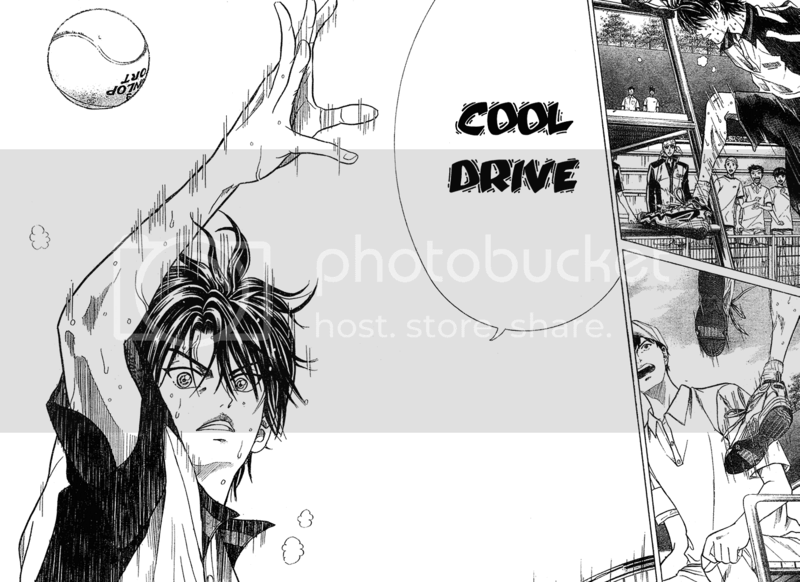 This entry was posted on Tuesday, August 7th, 2007 at 10:55 pm and is filed under manga, Prince of Tennis, rant, Shounen Jump. You can follow any responses to this entry through the RSS 2.0 feed. You can leave a response, or trackback from your own site.